Discussion in 'iPhone and iPad Games' started by killercow, Sep 9, 2015. 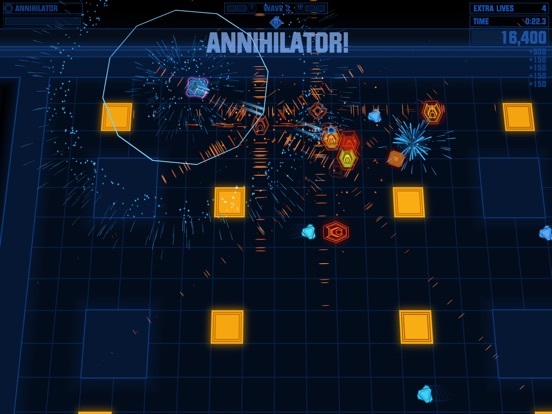 Devastator is a highly-polished arcade twin-stick shooter from Radiangames, creator of Inferno 2, JoyJoy, Super Crossfighter, and more. 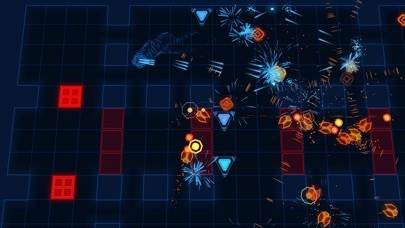 If you're looking for a leisurely action game, look elsewhere. 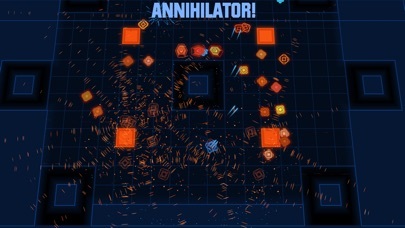 Devastator is one of the most intense and difficult twin-stick shooters to grace the iPhone and iPad. 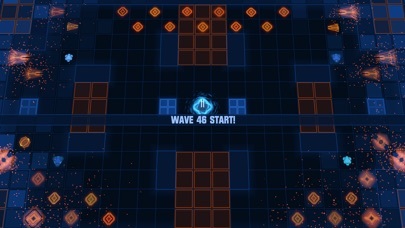 * Blast your way through 50 unique waves each with customized level layouts. 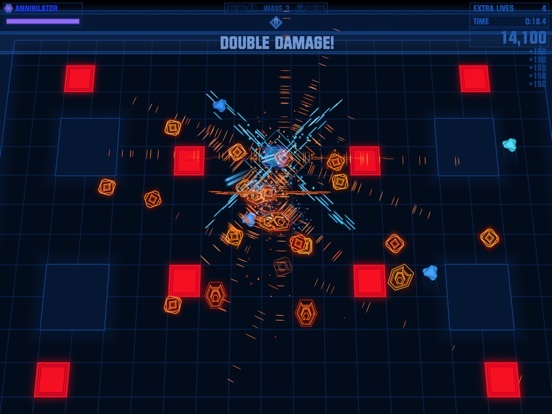 * Use your reflexes and wits to obliterate 12 devious enemy types. 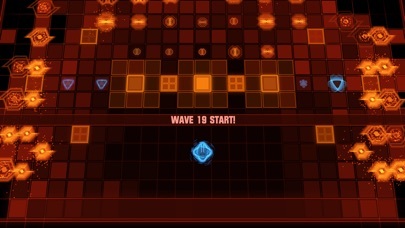 * Conquer 3 difficulty levels, though don't feel too bad if you can't beat the unlockable Elite difficulty. * Dazzling graphics and an pulse-pounding soundtrack intensify the action! * Use 5 powerups and 4 selectable abilities to provide a boost at just right time. 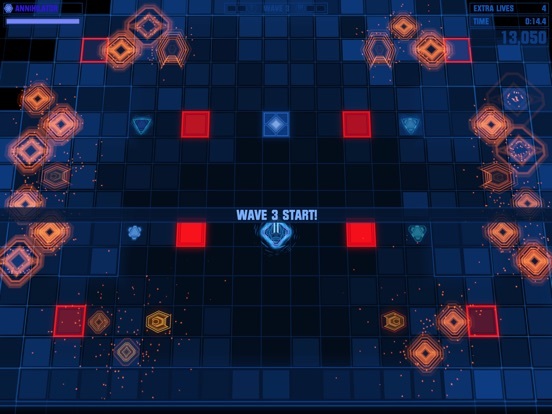 * Smooth and customizable touch screen controls, and full MFi gamepad support as well! * Compete to be the best in the 4 Game Center leaderboards. * Track your progress with 12 Game Center achievements. Will buy this, have an entire folder of Radian's stuff, this will go nicely in it along with JoyJoy, Inferno+, Fluid SE etc. Cool! didn't know this was out today. I was never into these until I tried Inferno 2 and a controller. Oh hell yea instabuy for me! Add me to the list of instabuyers! Happy to have another game from Radian in my collection. I know he has been trouble keeping up any financial success with the state of the current game market. I will buy everyone of his games sight unseen in hopes that it means he never stops making games. Looks like my only purchase this week. Slow week. This one is a no brainer though, not even gonna watch a video, just open it up and let it amaze me. Love ya Radian!!! I just played through the practise levels, great stuff as always!!! This one is hard. Is this guy a one man dev team? Respect. They are definitely one of my favorite devs. All I need to know is it's Radian. Smash the buy button! I love it that all of their releases always have mfi support right of the bat. Completed practice mode with 68 deaths. I know, it's hard to believe I'm that awesome. Arg it took me 69 deaths. Ok back to it. I love the graphics style. It runs flawlessly on my iPhone 5s. 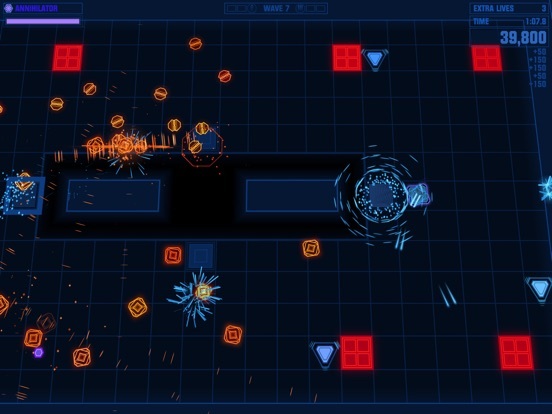 Get this twin stick shooter lovers! My instincts and my guts were right in the upcoming thread. 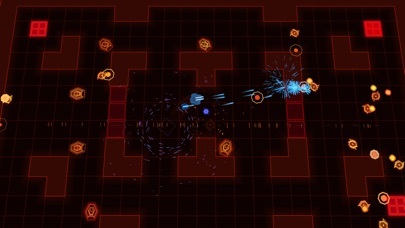 High end polished as usual with top controls, but it doesn't draw me in as with all the others from the (almost not) arguably best dual stick shooter developer out there. Support him, please, if you want to see new stuff. Good luck!